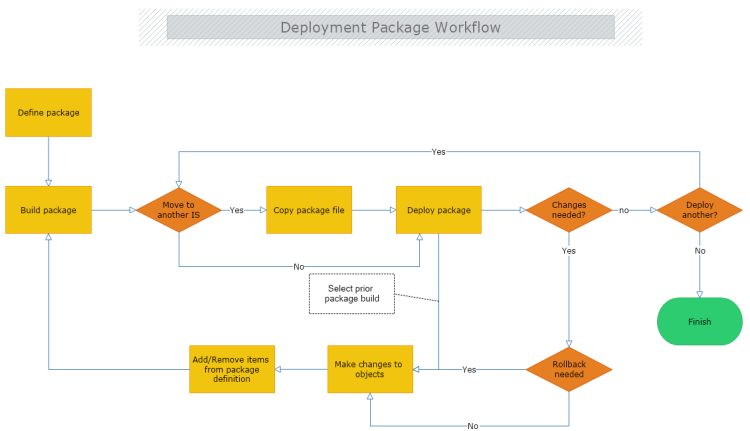 This workflow template represents the process of deployment a package. The diagram suggests two main options when deploying a package – if there is a need of correction, or if there is a requirement to revert to an earlier version. In the second case a prior package build is used for deployment. Use this free template and modify it with MyDraw to create your own workflow process in minutes.